and CSEA Retiree Program Specialist Christine Meehan. Spouses, domestic partners and all retired CSEA staff are now eligible to become CSEA Retiree Division members. The proposals were approved at our 108th Annual Delegates Meeting. Previously, CSEA Retiree membership was only open to those who were CSEA members during their employment, or who received retirement benefits through the New York State and Local Employees Retirement System and Firemen’s Retirement System. This eligibility included spouses and domestic partners who receive state pension benefits from deceased CSEA members, as well as retired CSEA staff members who are former public employees and receive state pension benefits. Previously spouses and domestic partners who were never CSEA members or eligible public employees — and continue to live with one receiving state pension benefits — were unable to join our Retiree Division as members. Despite being unable to join as full members, spouses, domestic partners and retired staff have long played a crucial role in our union family. Many CSEA Retiree members attend local membership meetings and events with their spouses or domestic partners. In addition to attending the meetings, many spouses and partners play active roles, including participating in discussions on the issues and volunteering their services. 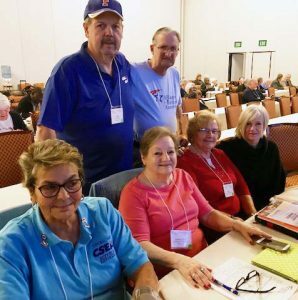 While retired CSEA staff who were previously public employees and receive pension benefits were already allowed to join our Retiree Division, membership was not open to retired employees who have never been CSEA members or eligible public employees. Under the proposal, all retired employees will now be able to join. To get a CSEA Retiree Membership Application, visit cseany.org/csea-retiree-members to download one or call CSEA Headquarters at (800) 342-4146.